We are actively recruiting and training volunteer coaches who will use the HelpMe Feed app to support new parents when their Health Professional is not available. Every Volunteer Coach plays an important role in helping us achieve our mission. They do this by providing emotional support and reassurance at a vital time in a parent’s breastfeeding journey. In the past, a parent might have had a close support network of family, neighbours and the community to support them through the early days of parenthood. Our vision for the community coaches is to revive these essential support networks through technology. With your help, we can save up to 800,000 infant lives each year. See an immediate impact as you help build a parent’s confidence. “By supporting breastfeeding mothers long distance through smart technology, you’ll directly contribute to maternal and infant health around the world. As a volunteer, your role as a community coach will be valuable and appreciated. Research has indicated that people who volunteer are measurably more healthy and happy than their cohorts who don’t. View some samples of the type of video content you’ll be able to send to a Parent within the app when their Health Professional is not available to. I believe if you get the breastfeeding piece right so many other things fall into place. Health and well-being of the mother and child depend so much on feeding as does bonding between mother and child. The time is right for getting the word out to mothers about breastfeeding through innovation. This is how new moms get most of their information. Breastfeeding came rather easily to me with my first two, but I was a bit puzzled by the conflicting information I would get on breastfeeding and parenting, it just didn't jibe with what I was *feeling* as though I should be doing. I wish I had done things differently. I listened too much to my mother and not enough to my own instincts, something I have really encouraged moms to do since then. 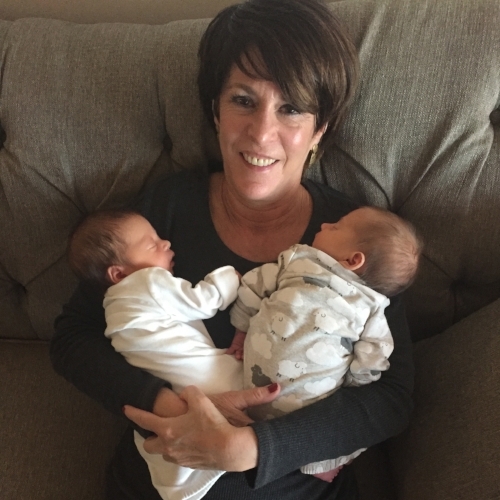 I am a proud mother of three adult children, two daughters (now married to two wonderful son-in-laws) and a son; and now a joyful grandmother of two! Professionally, I first started practicing as a pediatric nurse, then became a hospital administrator and then later a healthcare consultant. By becoming a Volunteer Coach with HelpMe Feed you’ll join a passionate global community. Thank you! Someone from the HelpMe Feed team will be in contact with you soon. The HelpMe Feed video resources are short form, specific, visual, and evidence based. They will help guide a new generation of breastfeeding mothers through the stages of breastfeeding, from pre-birth to 12+ months. The video resources guide parents through all the stages of breastfeeding. Covering preparation, latching, position, complementary feeding and many other relevant and important topics. Every video is evidence based and supported by visual information.